After a three-month reclusion in London, the air starts to get thick and doesn’t slide down the pipes all that easily. It doesn’t matter where I live, every two or three months I need to pack and go explore, and this time I am excited to get a taste of Cornwall – a short five-day domestic road trip that I have planned roughly – names of places in a piece of paper and some opening hours. But I love the adventure that feeds on improvisation, so it should be fine. As a linguist, one of the things that puts me off about domestic travel is the low level of linguistic excitement. Although English has never stopped exciting me, and it never will, it feels like ‘home’, so travelling in the UK or in the US is too similar to doing it in Spain. But in this case, Cornish – or Kernowek – might help shape a different linguistic landscape within an English-speaking world. Before going, I read that the local council is encouraging its residents to greet tourists in Cornish as part of their plan to revive the Celtic language. 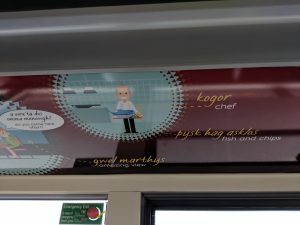 Unfortunately, I haven’t witnessed that myself, but I did encounter a Kernowek 101 lesson on a local bus! I know little about Cornwall, or I did before I read, watched a few documentaries, and did some research prior to our trip. I learned that the fact it’s a peninsula has shaped its past: attacks, tsunamis, smuggling, and buried cables on the beach (the first version of the Internet, aka the electric telegraph). I knew of its Celtic origins, abrupt coast, and fresh seafood, all of which remind me of Northern Spain. I also read about a landscape studded with megalithic monuments, which reminds me of Antequera – a town in Southern Spain where I worked as a teacher for a while, and which I recommend visiting. Antequera boasts a few dolmens (UNESCO World Heritage), and El Torcal, a limestone forest like nothing I have seen before. I was curious about Bodmin Moor in Cornwall, for there seem to be similar formations. It’s funny because, when hunting for travel destinations, I tend to look for things that don’t remind me of my native Spain, but Cornwall seems to be a special case! Only a few hours into the journey it dawns on me that this is my first road trip in the UK as a copilot. I love the clarity of the road signs: The WEST, the SOUTH WEST… Provided you’ve got a rough idea of where you’re headed, it’s hard to get lost! Cornwall welcomed us with bluish skies. ’Is this an omen for the whole stay?’ I wondered. As it turned out, no, it wasn’t. We got hit by a storm which left snow further up north, but luckily we were ‘just’ tossed about by nasty winds and showers. Also by intermittent bright skies, though. We followed a series of unnamed roads (according to the navigation system, anyway) which led to charming fishing villages and castles – or their ruins – perched on cliffs not for the faint of heart. The first stop was Boscastle for a quick refreshment. Sadly, the Museum of Witchcraft and Magic was closed until 1st April. 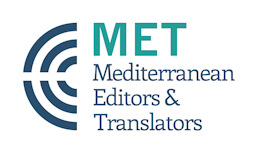 This was at the top of my list because I have recently worked on an exciting translation project: the digital version of The British Library’s A History of Magic, and I would have loved to see some of the artefacts – or similar ones – I researched about. 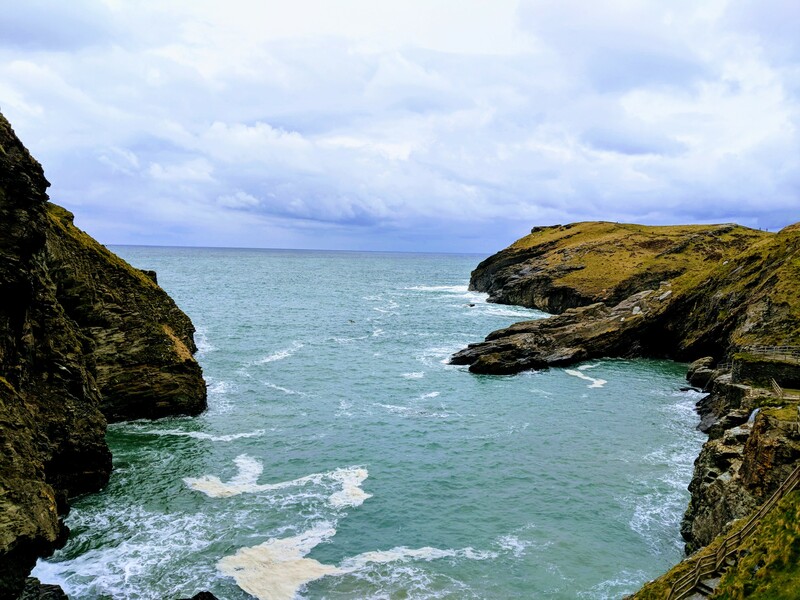 Undiscouraged, we headed to Tintagel to marvel at the ruins of a castle overlooking the agitated sea from a privileged position atop a cliff. Afterwards, the small fishing villages followed each other as we drove down the coast. Port Isaac greeted us with sleepy eyes early in the morning, while Padstow showed a lively atmosphere, which unavoidably translates into no shortage of shops and tourists. 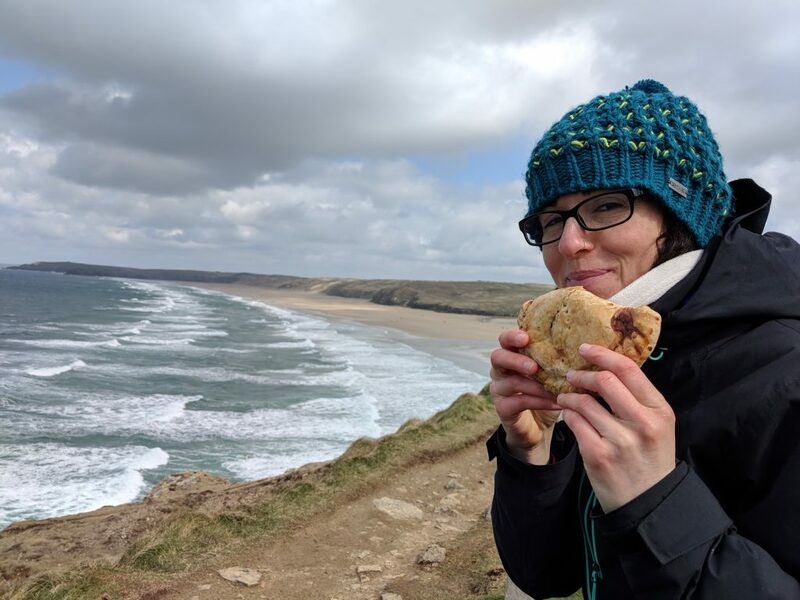 We found a bakery boasting award-winning pasties (most places do), made our choice, and packed them to enjoy in a more secluded spot. To my pleasure, I learned that beef is the traditional stuffing, but by no means the only one. This remote spot turned out to be the coastal walk from Perranporth to Trevellas – gorgeous views of arms of land venturing their way into the sea, and cove beaches that clearly attempt to strike back for such a dare. The wind blew hard, but luckily inland. Undaunted, we grabbed the opportunity for our own personal dare and sat on a bench on the edge of a cliff to savour our first ‘oggies’. Small towns and villages, regardless of where you are in the world, share certain aspects, little things that warm my heart, like living life at a slow pace, parking one’s car wherever one pleases (usually on the side of the road, which means two lanes become one and a quarter), and waving and smiling when you stop for someone to get passed on narrow country roads. Coming from a small village in Spain myself, I always identify and appreciate these homy, cosy acts that remind me I don’t belong to the city lights. In some villages, like Marazion, although there are street names, there are no house numbers; each cottage has its own name. I’m sure that spices up life a little for Mr or Ms mail carrier. In others, like St. Ives, there is a fair share of hustle and bustle. However, it still managed to seduce us with its maze of narrow streets and alleyways hidden behind the popular port area. This brought back memories of towns in Morocco. 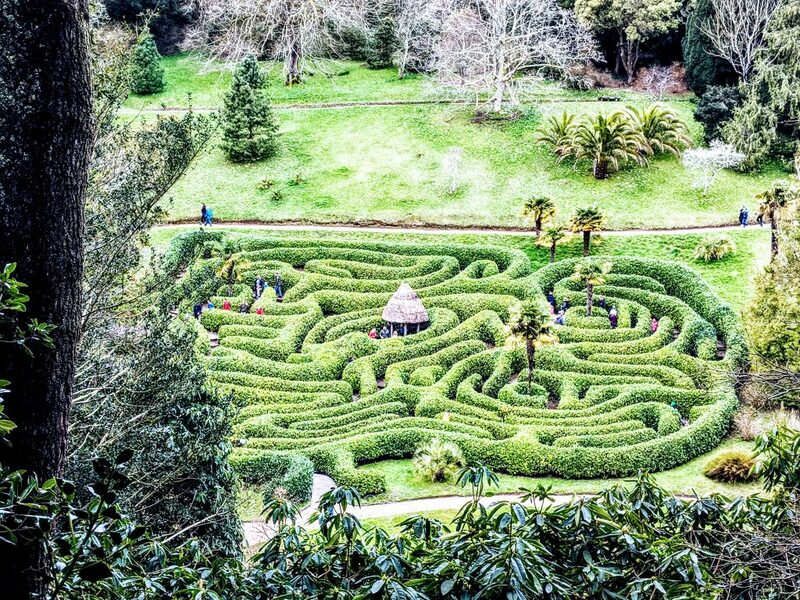 And speaking of mazes, the Glendurgan Gardens in Falmouth boast a neat one, although not made of stone and mortar. On both sides of the muddy paths inside the gardens, lush vegetation and trees dressed in moss suits thrive. Enclosed behind wooden gates there’s a tiny community of people whose lives happen between the tides and the garden itself. How is that for seclusion? And I guess a visit to Cornwall would be incomplete without Land’s End – England’s westernmost point. 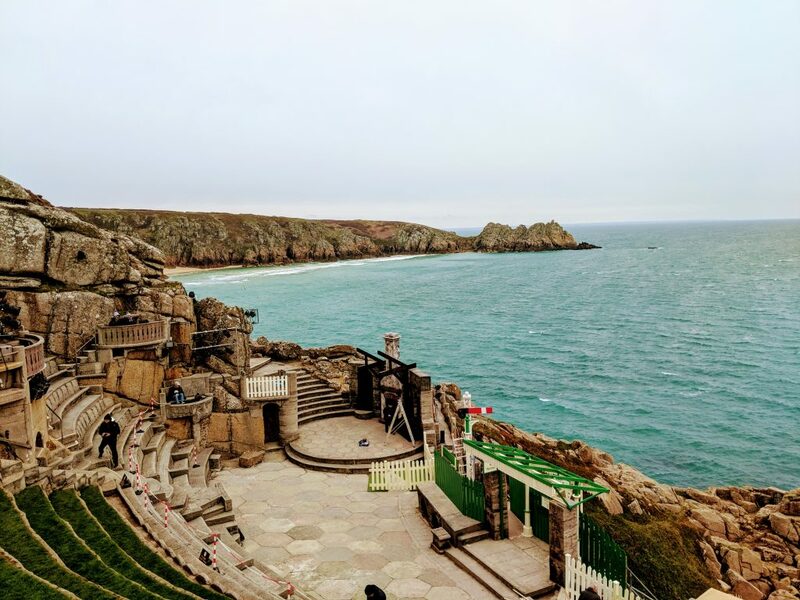 The cliffs here are some view, but even more interesting is the nearby Minack Theatre, in Porthcurno, planned and built by Rowena Cade. ‘Minack’ means ‘rocky place’ in Cornish, a well-suited name for this breathtaking location inserted right onto the cliff face. I just couldn’t help but wonder if the wind ever offers a truce to enjoy what could be a play in a unique nook. And yet another special corner is St. Michael’s Mount, only accessible by boat or on foot via a causeway when the tide rolls out. If you’re a bit impatient, like us, the odd wave will reach your boots on the way there. Although ready for and excited about the last two stops – Bodmin Moor and Boscastle’s Museum of Witchcraft and Magic (we decided to return) – we had to cut the trip short and crawl back to the city due to an evil tummy bug. Sad on the one hand, but also sure there will be a follow-up visit to return to the spots we didn’t reach this time. On the drive back home, I let these few days sink in and I observe how my mind wanders from uneven cliffs and violent waves, to stuffed dough baked to perfection, locally brewed beverages, and narrow unnamed roads framed by stone walls or trees straight out of a fairy tale that discharge into peaceful villages where there is little to do. Little. To. Do. Exactly what I was after. Have you ever been to Cornwall? If so, help me add to this account. Did you lose yourself somewhere this Easter weekend? Comment away! -Lockhart, Keely. “HOME»NEWS»UK NEWS What Does the Cornish Language Sound like?” The Telegraph, 5 Nov. 2015, www.telegraph.co.uk/news/uknews/11977031/What-does-the-Cornish-language-sound-like.html. -O’Brien, Chris. “Porthcurno, a Small Village That Played a Key Role in Global Communications from the 19th Century to the Present Day.” O’Brien Media, 24 Nov. 2014, Select Porthcurno, a Small Village That Played a Key Role in Global Communications from the 19th Century To the Present Day Chris OBrien – https://obrienmedia.co.uk/blog/porthcurno-a-small-village-that-played-a-key-role-in-global-communications-from-the-19th. – Wilson, Neil, et al. Great Britain. Lonely Planet, 2015. Yes! Go to Google Maps, or even Google Earth, and take a virtual stroll on the Coastal Walk. It won’t be exactly the same, but at least you won’t get hit by the wind! Lovely writing, Carolina! Took me right back to my one and only trip to Cornwall as a 12 year old. I still have the beautiful clown doll with china feet and face but just fabric legs lazily reclining or dangling his legs off the edge of my bookshelf which I bought in Boscastle. As for the clarity of the road signs, I wonder if there’s a revival of Kernowek if that will cease to be the case as it is in Wales. There, all the signs are double the size with words that the foreigners (i.e., the English) can’t even begin to pronounce never mind understand. That said, such signs have taught me two Welsh words – araf and heddlu! So you’ve been to the Museum of Witchcraft, right? I’m so jealous! To be honest, there are few signs in Kernowek. I was expecting it to be more present, maybe like in the Basque Country in Spain, where signs as also bilingual, like what you describe in Wales. Maybe they’re working on it and it’ll get better.